Connecticut – Andraya Yearwood is a freshman at Cromwell High School. ‘She’ is also a transgender athlete with a mustache and huge muscles who, after previously competing as a boy, has recently begun to compete as a girl. 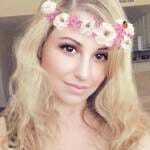 Instead of calling this exactly what it is–a male unfairly competing against females (cheating), Yearwood is being commended for ‘her’ bravery. Last year, Kate Hall wasn’t positive she fully appreciated winning a Class M state championship as a sophomore. 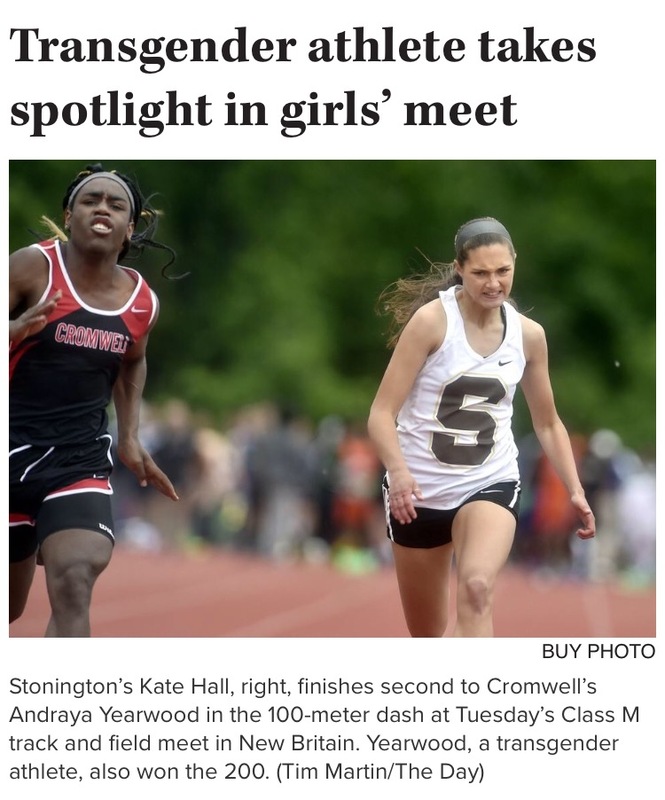 That gave Hall, a Stonington High School junior, even higher expectations for Tuesday’s Class M state track and field championship at Willow Brook Park, where she was focused on a repeat in the 100 meters and was also one of the top seeds in the 200, in which she finished in the top 10 in New England last year. Instead, the day belonged to Cromwell’s Andraya Yearwood, a freshman who won both the 100 and the 200. 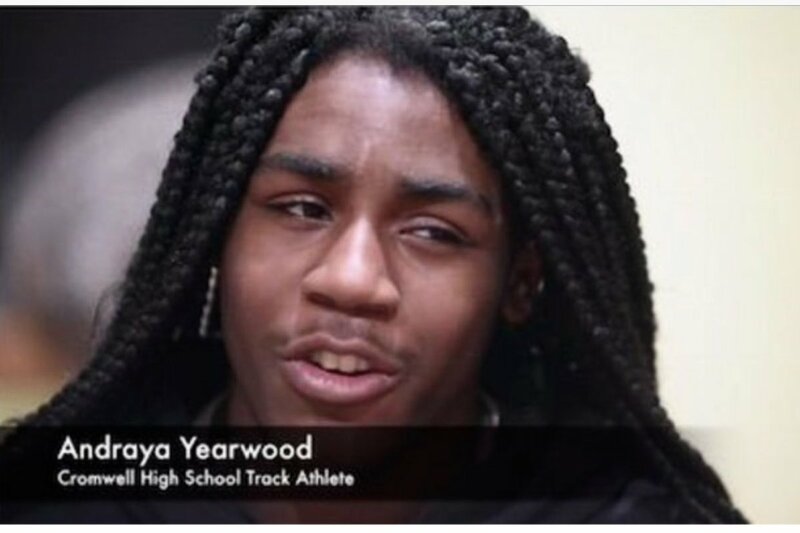 Yearwood is a transgender athlete who competed for Cromwell as a girl for the first time on April 5, winning both sprints in a tri-meet against Portland and Old Saybrook. The Connecticut Interscholastic Athletic Conference “defers to the determination of the student and his or her local school regarding gender identification,” according to a Hartford Courant story about Yearwood earlier in the year. Yearwood won the 100 in 12.66 seconds, edging Hall, who was second in 12.83. Yearwood was then first in the 200 in 26.08. Woodland’s Erika Michie was second in 26.38 and Hall, the Eastern Connecticut Conference champion in the event, third in 26.65. Below is a photo of both Yearwood (Transgender on the left) and Kate Hall (female athlete on the right). Notice the difference in body mass, muscles etc. Kate Hall is an exceptional female athlete who should be competing against females only. She is losing out on awards she deserves because political correctness has taken over, ultimately ruining her accomplishments. Shame on this high school for allowing this insanity. Where are the feminists speaking out against this?